If you are a motorcyclist, it is important to consider having an attorney who you can lean on in times of legal issues. Motorcycle accident attorneys are trained not only in traditional accident law, but they have devoted additional time to gaining experience with motorcycles and the additional dangers that they face on the open road. Here are some things to consider when choosing a motorcycle accident attorney in the Inland Empire, whether you’re coming from Riverside, Fontana, Ontario or Temecula. Proficiency in Motorcycle Law : In order to truly understand the ins and outs of motorcycle accident claims, your attorney should have an intimate understanding of both the laws that impact these cases and the circumstances that impact motorcycle accidents. These circumstances will be fundamental when it comes to determining liability, which is essential in achieving the most successful possible outcome for you as the client. If you’re looking for a motorcycle accident attorney who is the most proficient in motorcycle law, consider a motorcycle accident attorney who is licensed motorcycle rider? 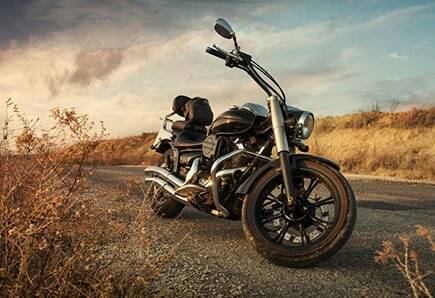 Licensed riders understand the laws and factors affecting motorcyclists from a legal and practical standpoint. Experience: You should always be looking for the most skilled and most experienced practitioner in any area, be it medical, educational, or legal. And when it comes to the area of motorcycle law, working with the best is just as imperative. You should absolutely look for someone with a lengthy history of successful representation and litigation that can protect your individual rights. If you have been involved in a motorcycle accident in the Inland Empire that involved personal injury or property damage, you are going to want to hire a motorcycle accident attorney who can advocate for you and make sure that your rights are protected. If a collision has occurred, it is important to speak with a qualified motorcycle accident attorney as soon as possible. Contact Inland Empire Motorcycle Law today by picking up the phone and dialing (951) 290-3664. You should absolutely have an attorney advocating for you and your rights during this trying time, so call us today to learn more about what a trained attorney can do for you.